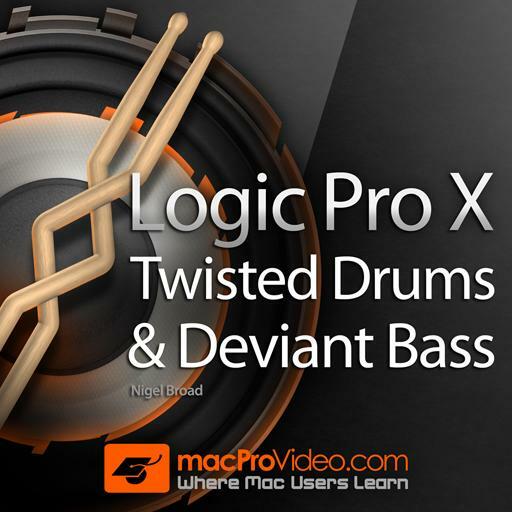 Logic Pro X 409 - Twisted Drums and Deviant Bass. What’s the best starting point to start building an ES2 patch? How can you convert multiple regions to an EXS24 instrument? How can Drummer be useful when producing EDM? How can you pitch up all slices in an EXS-24? How many Oscillators are available in ES2? What’s an advantage of using a Producer Kit on a Drummer track? What’s an easy way to add bottom end to a patch in Retro Synth? What’s the default key command to set the locators to the selected region? In the tutorial, which Logic synth is used to create a dubstep screech bass? Which ES2 parameter can introduce pitch drift into the sound? What’s the default key command to turn on Cycle mode?